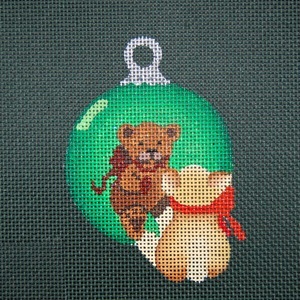 18ct Mesh. 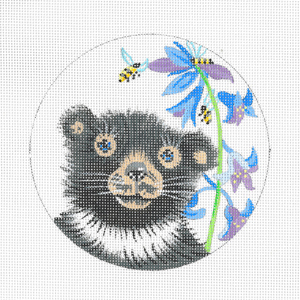 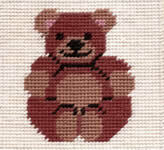 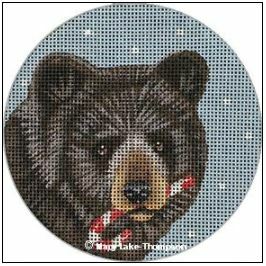 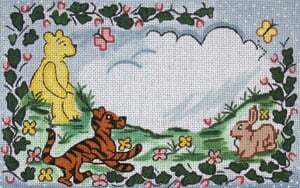 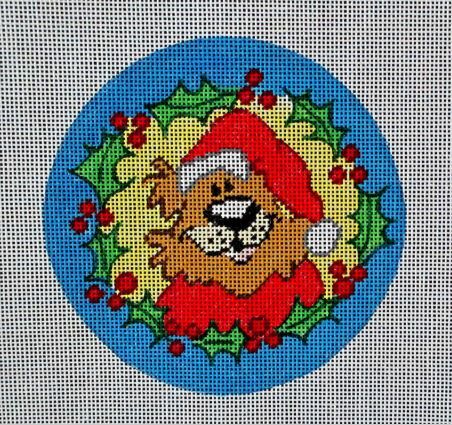 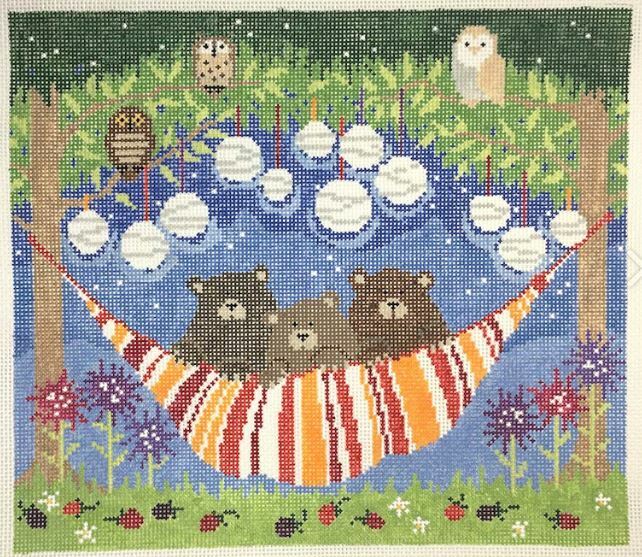 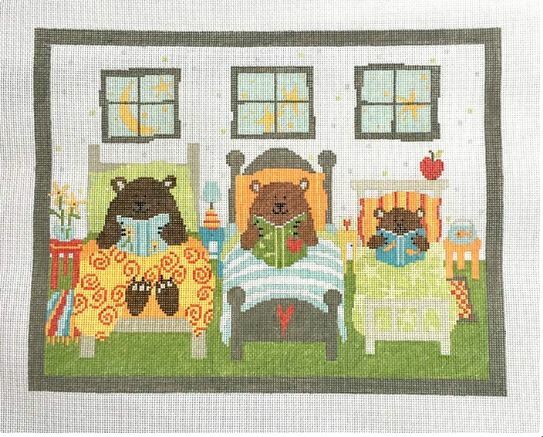 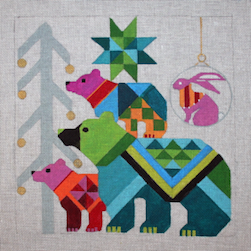 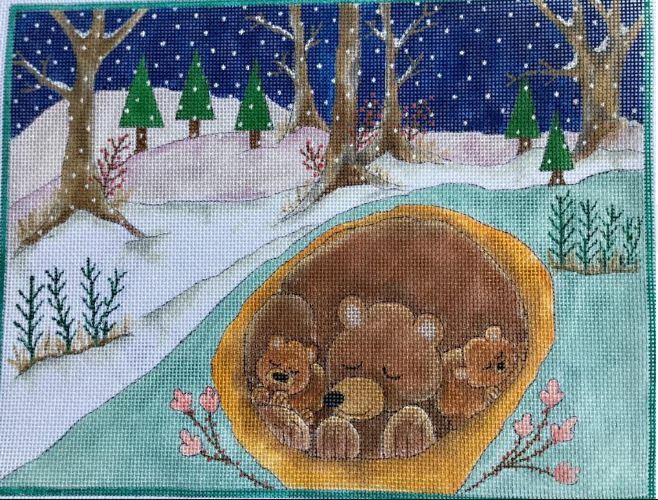 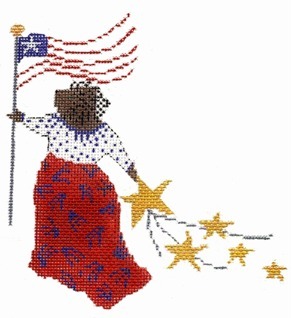 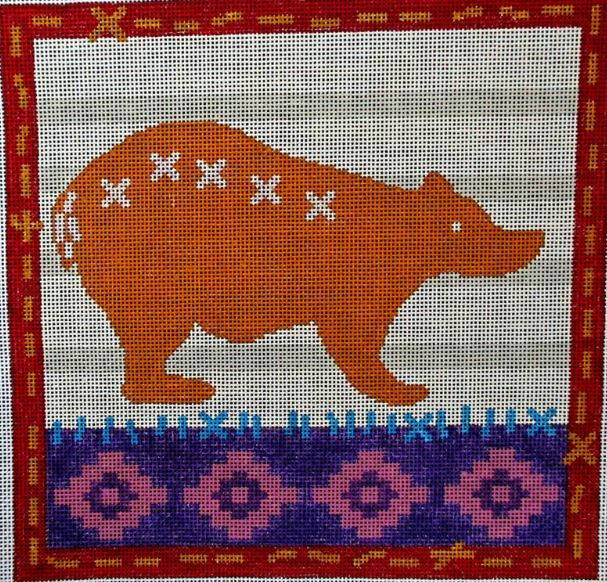 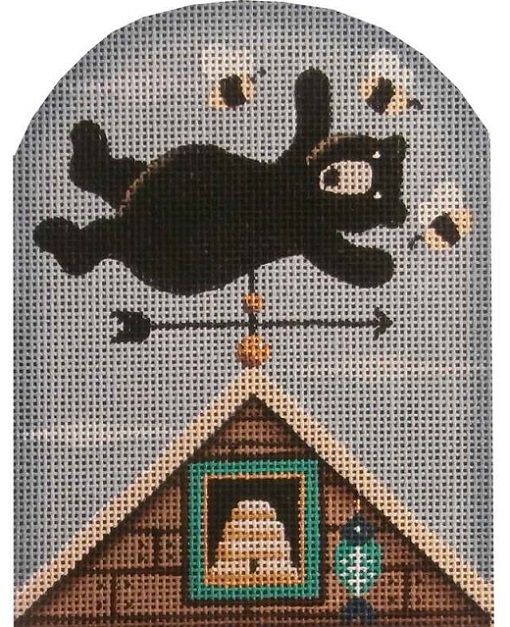 5" x 8"
18g - 3.5" x 3.5"
6" x 6" Each beginning needlepoint kit includes a hand painted design on 7 mesh canvas, needle, enough acrylic yarn for continental or basketweave stitch and instructions. 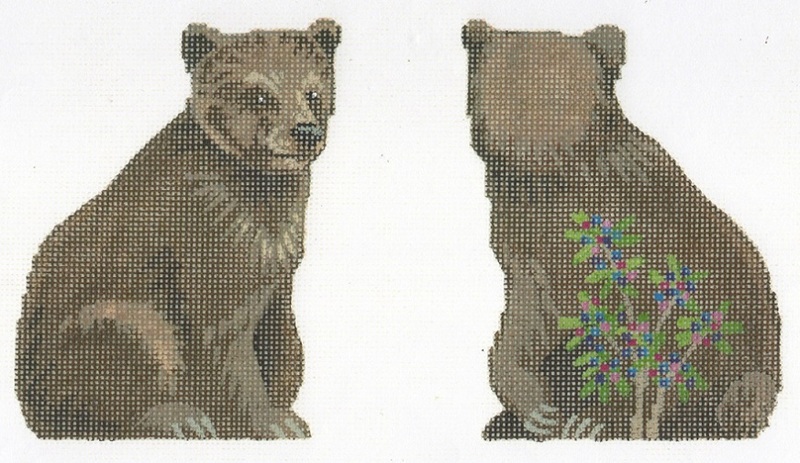 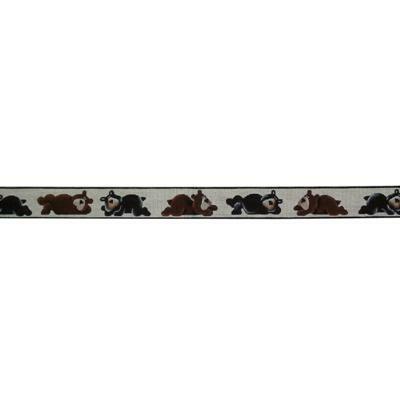 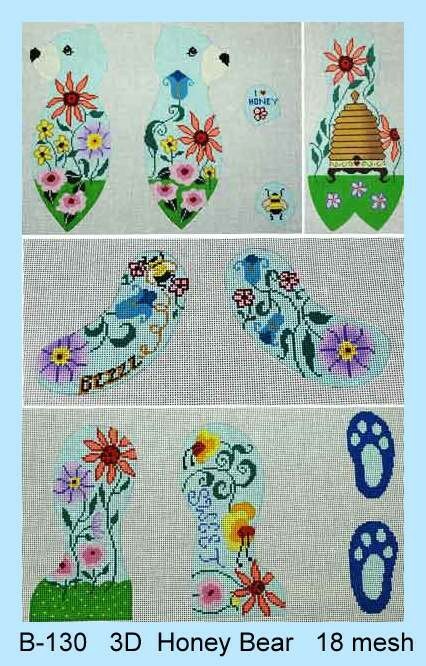 They are great for children just learning needlepoint. 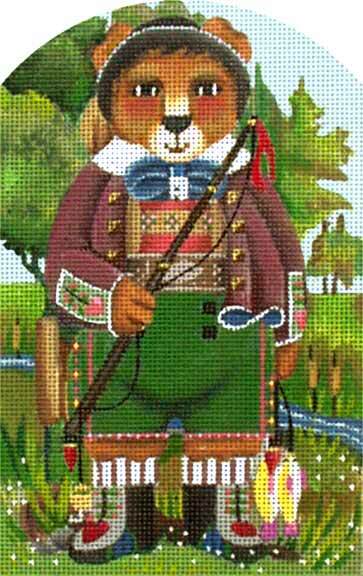 1.25" x 36" on 18ct Mesh.